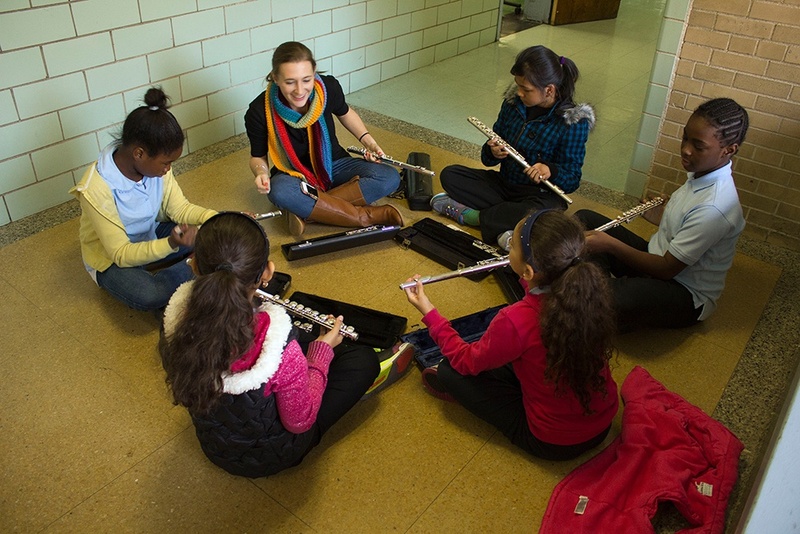 In music classes with up to 35 students per teacher, BPO musicians partner with classroom music educators to provide weekly in-class individual and small-group instrumental instruction. An engaging and interactive music curriculum is offered to students who have limited music classes in their school. This is taught by the BPO Fellow and BPO musicians over 5 weeks. Curriculum is focused on preparing the students to experience a BPO Classroom Concert.